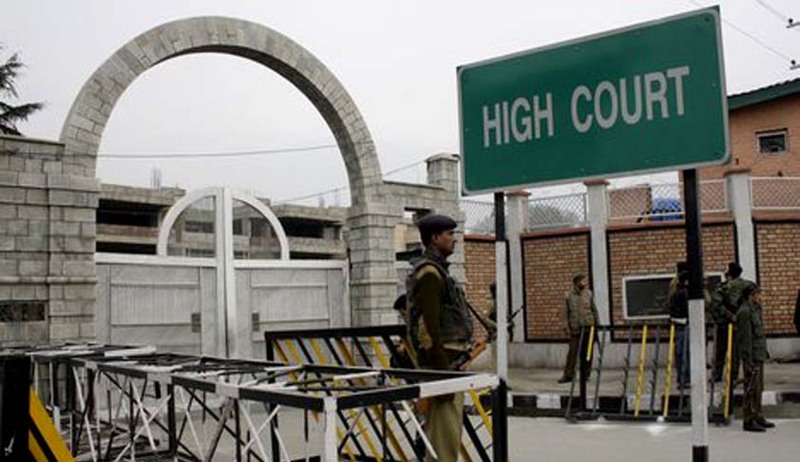 In a landmark judgment, the Jammu & Kashmir High Court has held recently that the Securitisation and Reconstruction of Financial Assets and Enforcement of Security Interest (SARFAESI) Act, enacted by Parliament in 2002, cannot be enforced in the state. A division bench of the Court comprised of Justice Muzaffar Hussain Attar and Ali Muhammad Magrey underlined how the SARFAESI Act is not applicable to Jammu and Kashmir owing to its unique constitutional position. “Provisions of the Act can be availed of by the banks, which originate from the State of J&K, for securing the monies which are due to them and which have been advanced to the borrowers, who are not State subjects and residents of the State of J&K and who are non State subjects/non citizens of the State of J&K and residents of any other State of India excepting the State of J&K,” ruled the court in the judgment. The judgment underlines that Parliament does not have legislative competence to make laws contained in section 13, section 17(A), section 18(B) section 34, 35 and section 36, so far as they relate to the State of J&K. While quashing the notices issued by the banks in terms of section 13 of the SARFAESI Act, the court restrained the banks and other financial institutions from proceeding further in keeping with the Act against the State Subjects or citizens of Jammu and Kashmir. The court, however, put the banks at liberty to recover the money due to them from the borrowers by having recourse to the appropriate laws and by approaching the appropriate forums. The J&K state would be at liberty, the court said, to enact law similar to that of the SARFAESI Act 2002 for securing the interests of the banks/financial Institutions. “The State of J&K, in the event of framing such a law, has to ensure that interests of State subjects/citizens of J&K regarding their immoveable properties are not affected by transferring the same to non State subjects,” the court said. “This provision clears the constitutional relationship between people of rest of country with people of J&K. The citizens of State of Jammu and Kashmir have their own constitution and their sovereign character which cannot be challenged, altered or abridged,” the court said. The power of Parliament to make laws in respect of State of Jammu and Kashmir, the court said, is circumscribed and it can make laws for it only where permitted by State and not other side, and that too in accordance with mechanism prescribed by Article 370 of Constitution of India. Underling that Constitution of India could not apply, by its own force, to the State of J&K, the court held that Article 370 of the Constitution of India, provided mechanism and procedure for applying constitutional provisions and statutes to the State of J&K. “The dominion Government, however, could not extend provisions of the Constitution or other laws to the State of J&K unilaterally. Same could be done either with consultation with the Government of J&K or with its concurrence,” the bench added. “Amendment to Rules of 2002, which provide that a non State subject cannot purchase the immoveable property in consequence to sale made in terms of section 13(4) of the Act of 2002 is rendered inconsequential. Section 13(4) empowers the non State subject to take possession of immoveable property which is not countenanced by State Constitution and State Laws,” the court held. “The sovereignty of the State of J&K under the rule of Maharaja, even after signing of Instrument of Accession and in view of framing of its own Constitution, thus “legally and constitutionally remained intact and untampered,” the court said. “The SARFAESI Act, 2002, modifies the State transfer of property Act, State Civil Procedure Code, Civil Courts Act, State Limitation Act and above all the adversely impacts the inalienable property rights of State Subjects. The Act is made beyond legislative competence by Parliament to the extent of State of Jammu and Kashmir, thus cannot be extended to this State. Any law made by Parliament which affects the laws made by State legislature cannot be extended and applied to State of J&K,” it said. “The laws made by the Maharaja are protected by the Constitution of 1939 AD and the subsequent Constitution framed by the Constituent Assembly of the State of J&K, which includes protection given to the State subjects and non transferring of immoveable properties to non State subjects. The Act of 2002, which, in view of discussion made in this judgment, affects these laws and rights of the State subjects, thus cannot be extended to the State of J&K,” the court added.